Starts Data reports on all construction big and small. We report the issued building permits for renovations and new construction for all project types. Starts Data compiles the these permits and researches them to provide the most contact information available. Our renovation and new construction permit information includes: homes, custom homes, leasehold improvements, mixed use, commercial, industrial and institutional projects. Search Starts Data's database of private and public construction projects, build relationships with 100's of GCs in the area, access new project information, bid on the right jobs and ...win more work! All Data is in an easy to use Excel format. Add your own confidential notes, create mailing lists, get organized and sort your data in the most practical way for you. 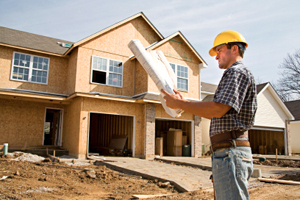 In 2009 our research team began compiling extensive construction leads . Starts Data helps sales teams targeting the construction industry to get down to what matters most: getting their products and services in the market place. We spend thousands of hours each year to ensure that businesses of all sizes have access to quality and timely construction information. We take pride in ensuring that the data packages our clients subscribe to generate the best leads for their business. Our strength is taking the time to make a comprehensive data list that is easy to use. It is our mission to know the time frame, area and relevant project types in order to provide the information needed to bring you the most results. Whether your goal is to be specified or to supply a product or service, the Starts Data detailed coverage of the construction market has the information needed to create strategic opportunities. promptly get in touch with you.